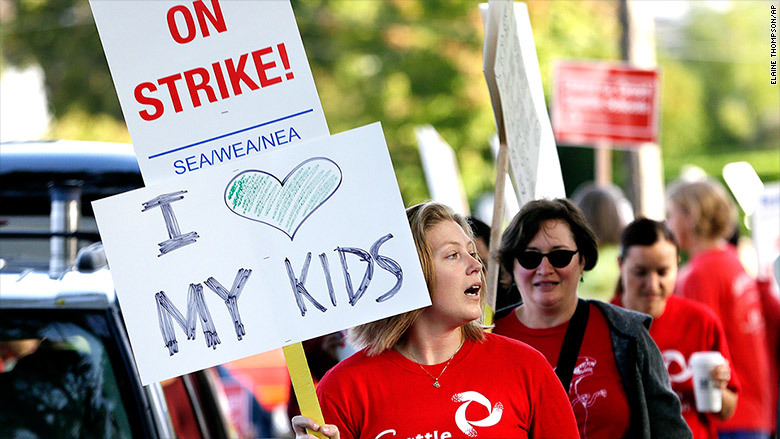 The district-wide strike -- the largest since Chicago's massive strike in 2012 -- began Wednesday on what was supposed to be the first day of the new school year. 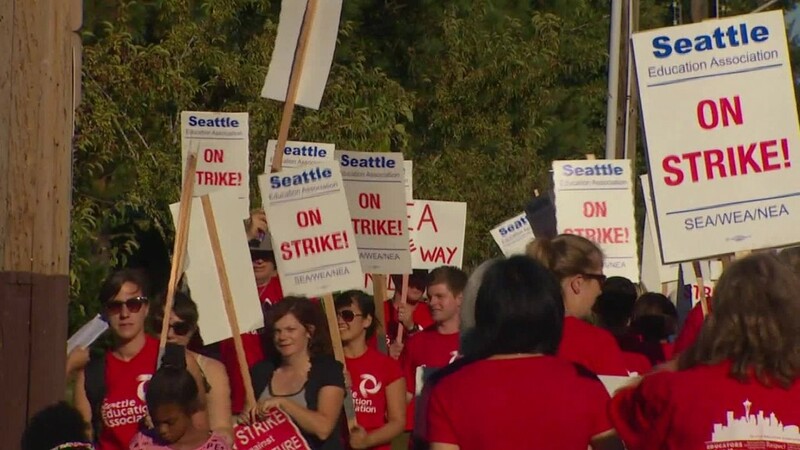 According to their union, the Seattle Education Association, teachers haven't received a cost-of-living increase in six years despite a strong local economy. They've also gone five years without a state increase in contributions to employee health care. The union also says that the district's 52,000 students aren't able to receive the help they need because teachers' workloads are too demanding. Seattle schools closed Thursday for the second day. Seattle Public Schools spokeswoman Stacy Howard said union leaders haven't been receptive to meeting with school board officials. "Our goal is a contract that puts students first, honors teachers, but is also fiscally sound. It is our duty to protect the district financially as we support teachers," Howard said. According to Howard, the school board has offered a deal that would ensure a 14% pay raise over three years for teachers, including a state cost of living adjustment (COLA). The district maintains that it continued to provide raises for teachers even when the state didn't provide funding for COLA increases. Howard said the district is willing to offer a three-year contract worth $29.4 million in the first two years. She says the union's proposed contract would cost $84.3 million.